Not only were Japan, Brunei, Malaysia, the Philippines, Vietnam and Taiwan clearly targeted, but India too, with more than 4,000 km of land border with the Middle Kingdom. It is what Prime Minister Narendra Modi probably had in mind when he paid his maiden visit to Japan in August-September 2014; Delhi and Tokyo have a common ‘competitor’ in Beijing. The cultural and geostrategic aspects may force the two nations to work even closer together in the future. The cultural and spiritual dimension will continue to remain the foundation of the relationship. Not only Swami Vivekananda, Rabindranath Tagore or Netaji Subhas Chandra Bose, but many other Indians have been associated with and have been admirers of Japan. It is not a coincidence that the Japan-India Association, set up 113 years ago, is the oldest international friendship body in Japan. Since civilisational contacts between India and Japan began some 1400 years ago (Buddhism was introduced to Japan in 538 CE), the two countries have never been adversaries. Bilateral ties have been singularly free of any kind of dispute – ideological, cultural or territorial. Visva-Bharati was eventually the first Indian university to introduce Japanese language courses. This setting will remain the backbone of the bilateral relations. This visit was more a seed for the future, but the factor which accelerated the deepening of the partnership has been external: it is the irredentist presence of China in the neighbourhood. For long, Japan has been China’s favorite whipping boy. It is unfortunately a fact. 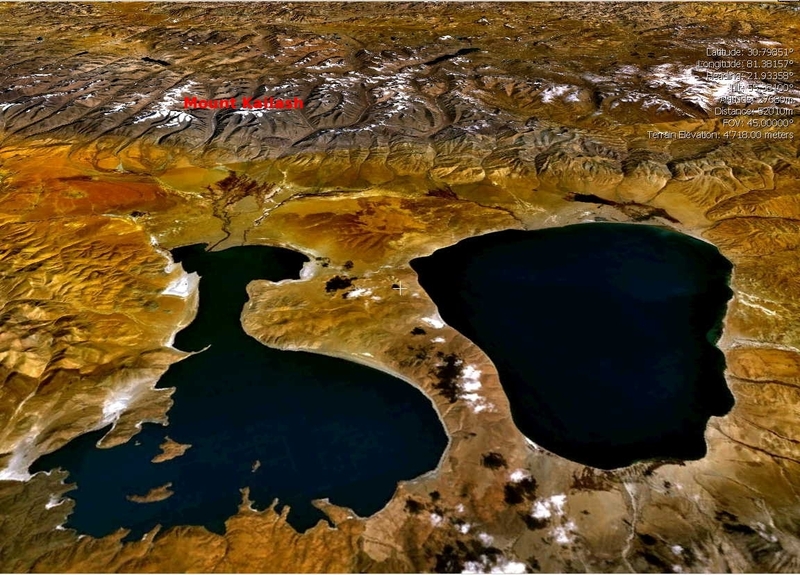 India has been at the receiving end of China’s attitude since Independence particularly in Ladakh and Arunachal Pradesh. Beijing’s attitude has certainly brought Japan and India closer. The Joint Statement mentions myriad diverse projects with the ‘partnership’ in the background; the different sections emphasize ‘Synergising the Partnership’, ‘Building a Stronger Partnership for Safer and Stable World’, ‘Partnership for Prosperity’, ‘Working together for a cleaner and greener future’, ‘Laying the Foundation of a Future-oriented Partnership’, ‘Investing in People for a Durable Partnership’. The partnership should take a very concrete shape with ‘the Agreement for Cooperation in the Peaceful Uses of Nuclear Energy’, the highlight of the visit. It reflects “a new level of mutual confidence and strategic partnership in the cause of clean energy, economic development and a peaceful and secure world,” says the Statement. On the ground, it may take time to materialize (like the US and French ‘nuclear deals’), but the symbolic foundation is now set. When the two leaders reaffirmed their commitment “to work together for India to become a full member in the remaining three international export control regimes”, including India’s entry in the Nuclear Suppliers Group, Beijing was not pleased, but is it not legitimate for India and Japan to see their own interests first? It is possible that this move triggered a harder line from China, especially the last section of the Statement which talks of “Working Jointly for Strengthening Rules-based International Order in the Indo-Pacific Region and Beyond,” but this is part of the Great Game of geopolitics. The Modi visit occurred soon after Donald Trump was elected as the next US President. Trump’s arrival on the world scene brings a lot of uncertainties and may open the doors to deep changes in the political equation in Asia (incidentally, Prime Minister, Shinzo Abe, was the first foreign leader to rush to meet Trump, probably to get reassurance from Japan’s first ally). There is no doubt that in the new era of incertitude, Japan will need to work closely with India. Even if only a few of the ‘partnerships’ mentioned earlier, materialize in the next couple of years, it will be a great step forward. Defence is certainly an area were the collaboration could go a step deeper. The two defence framework agreements on the transfer of defence equipment and technology and on security measures for the protection of classified military information can now be implemented. The most promising development for India is the purchase US-2 amphibian planes from Japan to improve the Indian Navy’s surveillance capabilities. Modi noted that it symbolizes the high degree of trust between the two countries. The $1.65 billion defence deal needs now to be cleared by the Defence Acquisitions Council (DAC). This type of defence collaboration should be encouraged and developed further. Japan has pledged to support India in its ambitious plan to develop infrastructure in the North-East. The Official Development Assistance (ODA) provides bilateral aid consisting of concessional loans and grants, to developing countries. 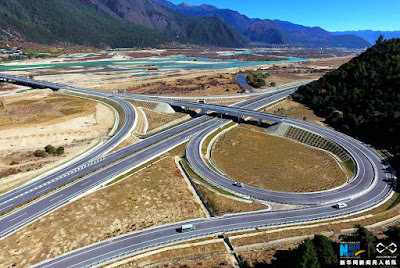 The Japan International Cooperation Agency (JICA), which coordinates the ODA’s projects has pledged for India an amount of 242.2 billion yen (some Rs 14,000 crores), out of which 67.1 billion yen are earmarked as loan assistance to the North East Road Network Connectivity Improvement Project. 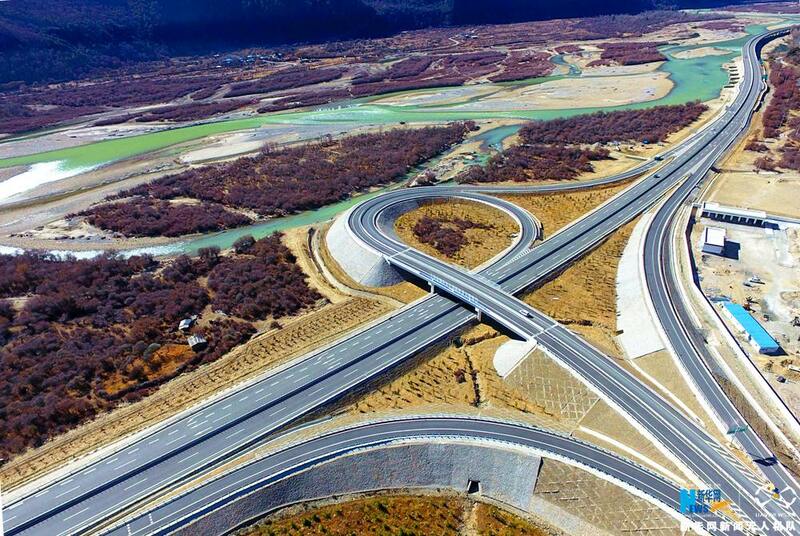 The ODA projects are to identify technologies, infrastructure, and strategies to facilitate development. 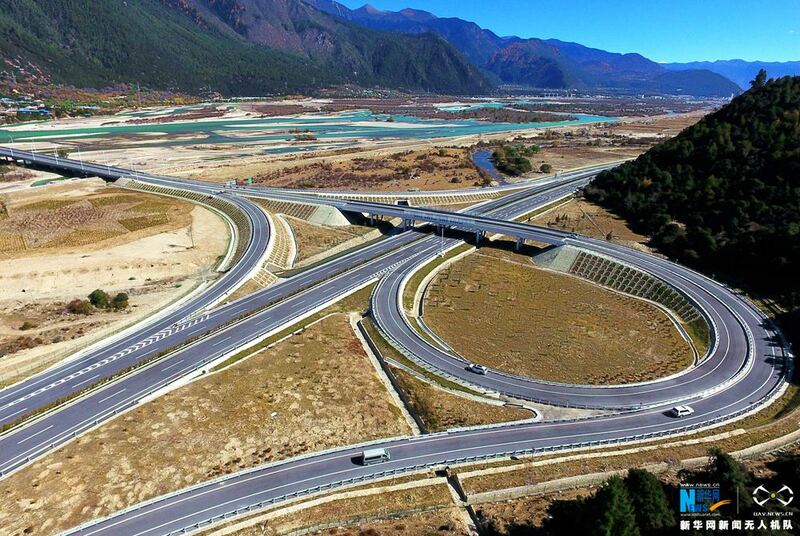 Tokyo has also agreed in principle to fund many critical Greenfield highway projects in Northeast India. The JICA is involved in a 400 km highway stretch in Mizoram between Aizawl and Tuipang; a 150 km highway in Meghalaya; two projects in Manipur; and one each in Tripura, Nagaland and Assam. 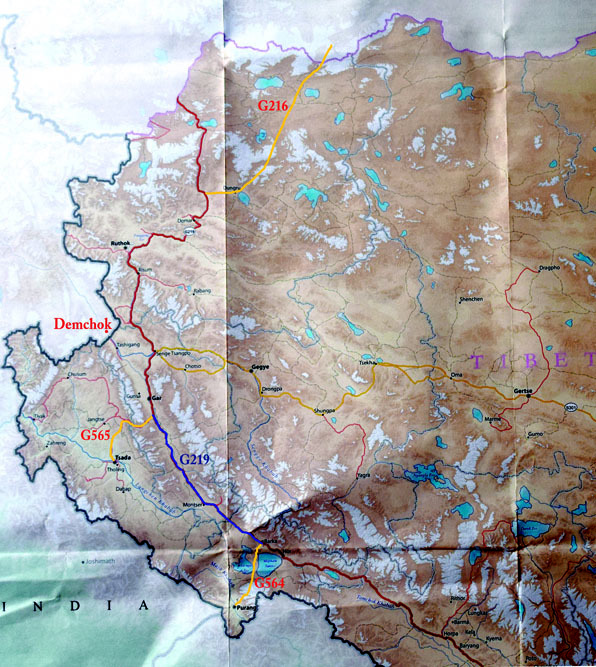 Could this scheme be extended to other Indian borders such as Arunachal, Sikkim and Ladakh? It would be an interesting collaboration which would bring an even brighter prospect to future bilateral relations. During his visit to India in January 2015, Fumio Kishida, the Japanese Foreign Minister said that Tokyo considered Arunachal Pradesh as a part of India. The Chinese foreign ministry spokesman Hong Lei saw red, "We are seriously concerned about this and have lodged serious representation with the Japanese side. 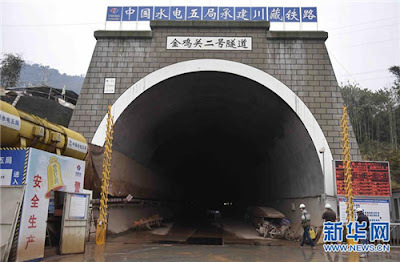 We hope Japan can fully understand the sensitivity of China-India border issues." A few months later, in response to a question about the JICA financing projects in Arunachal Pradesh, Shinya Ejima, JICA’s chief representative in India asserted: "It depends upon the decision first by the Indian government and also the government of Japan. But, as far as JICA is concerned, I don't think there's any problem in Arunachal." An enlarged collaboration in this field would make great strategic and technical sense. 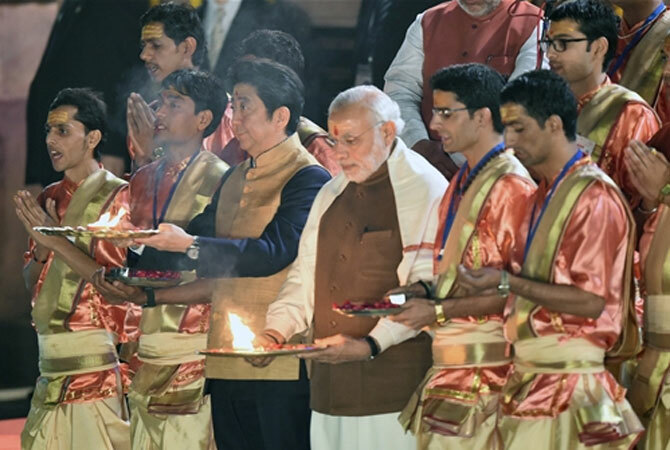 Other small actions could be envisaged; just to cite one, the deepening of the relations between Bhutan and Japan could indirectly enhance the Indo-Nippon partnership. Japan through the JICA has been supporting the concept of Gross National Happiness (GNH). This type of support could be widened. Though Japan has no official embassy in Thimphu, year 2016 marked the 30th anniversary of the establishment of relations between Japan and Bhutan. India should encourage Bhutan and Japan to work out a greater collaboration for the sustainable development of the ‘happy’ Himalayan kingdom. There are numerous areas of Indo-Japan collaboration; and fortunately, the profound trust between India and Japan, probably due to great civilizational and geopolitical convergences, will translate into a very special partnership in the future. The fact that the present Foreign Secretary is married to a Japanese could be the symbol of this blooming relationship. Two years ago, I mentioned about the 'arranged' recognition (and enthronement) of the Tenth Panchen Lama. Today, a Chinese website published a series of photos of the so-called Golden Urn ceremony organized by the Communist Party of China (CPC). Though at the end of the recent Kalachakra the Dalai Lama stated that he will live till 100, the Communist Government in Beijing is meticulously planning his reincarnation. 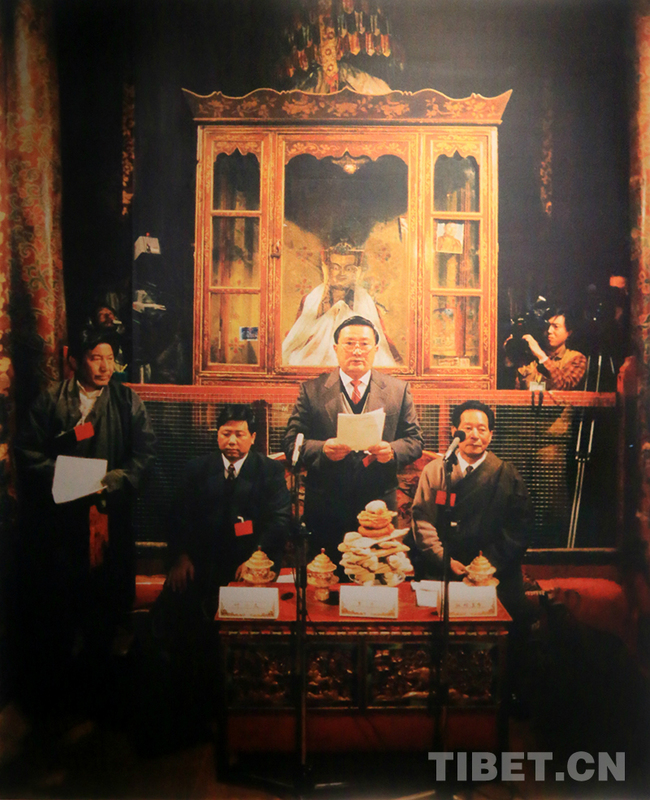 It explains the publication of the 1995 'rehearsal' for the selection of the Eleventh Panchen Lama. The photos of the farcical ceremony are posted below. If he could hear the uttering of one of his Tibetan followers, poor Karl Marx would turn in his tomb! 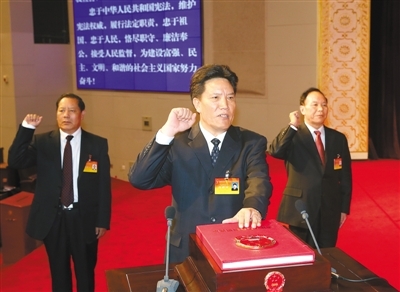 The third session of China's 12th National People's Congress (NPC) had opened as usual with fanfare at the Great Hall of the People in Beijing on March 5, 2015. 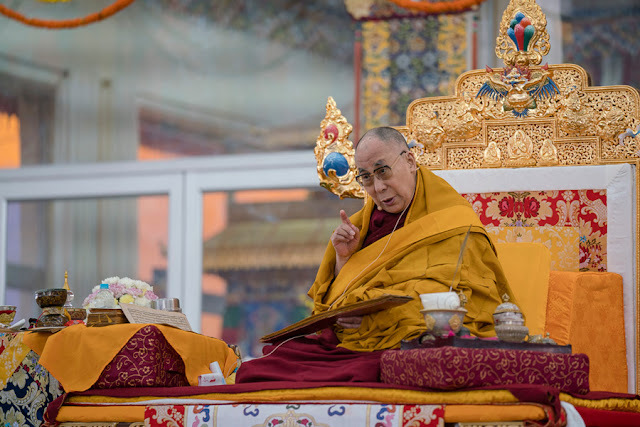 Three days later, the Tibetan official objected to the Dalai Lama’s earlier announcement saying that ‘[his] traditional religious role should cease with his death’. According to Beijing, it is for the Communist Party of China to ‘decide’ who will be the next Dalai Lama. The question remains: how will the Communist Party choose the next Dalai Lama? It is very easy to guess, if you read a book ‘Surviving the Dragon: A Tibetan Lama's Account of 40 Years under Chinese Rule’ written by a Tibetan Lama, now in exile in the US, who was part of the great tamasha to ‘select’ a new Panchen Lama in 1995. 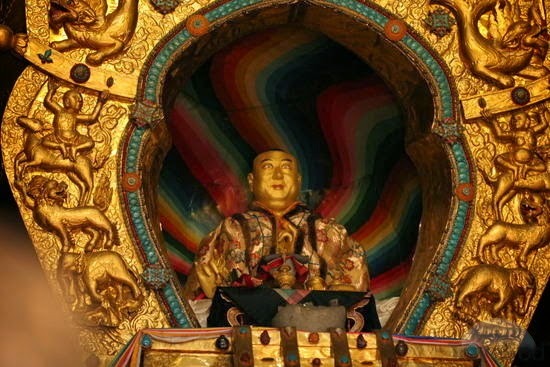 The Lama, Arjia Rinpoche was the Abbot of the Kumbum monastery in today’s Qinghai Province before escaping from China; he was also a member of the ‘selection committee’ for the Panchen Lama. Beijing was furious that the Dalai Lama, based in Himachal Pradesh, had ‘unilaterally’ decided on the new incarnation. 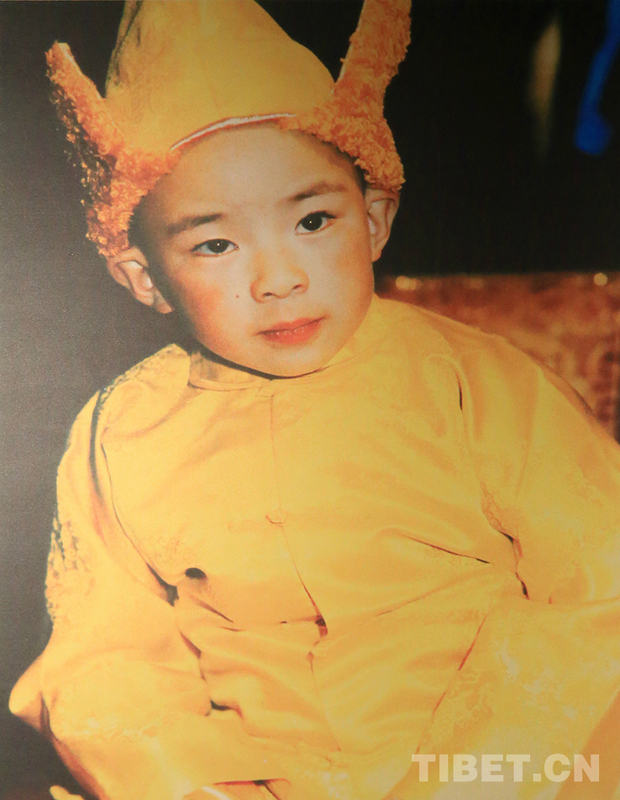 Soon after the Tenth Panchen Lama passed away, under mysterious circumstances while on a visit to Tibet, the Chinese government formed a ‘search team’ under Gyayak Rinpoche, the Panchen Lama’s dharma teacher. 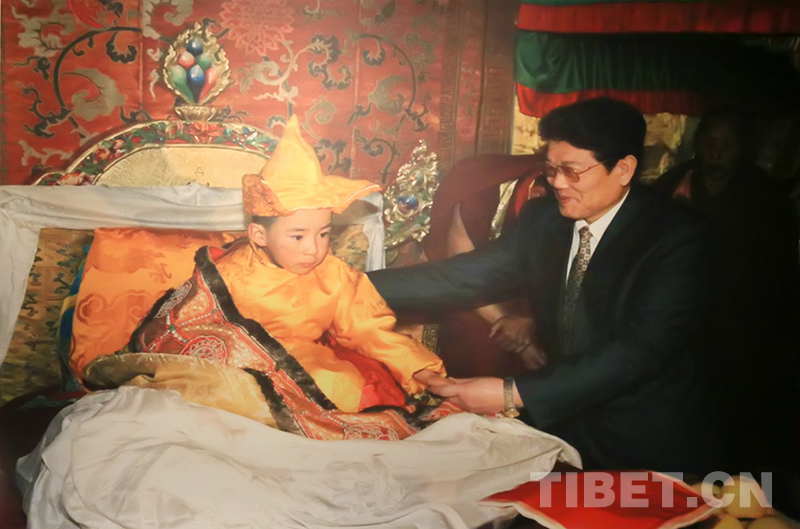 Chadrel Rinpoche, abbot of the Panchen Lama’s Tashi Lhunpo Monastery and Arjia Rinpoche were to assist the old Lama. 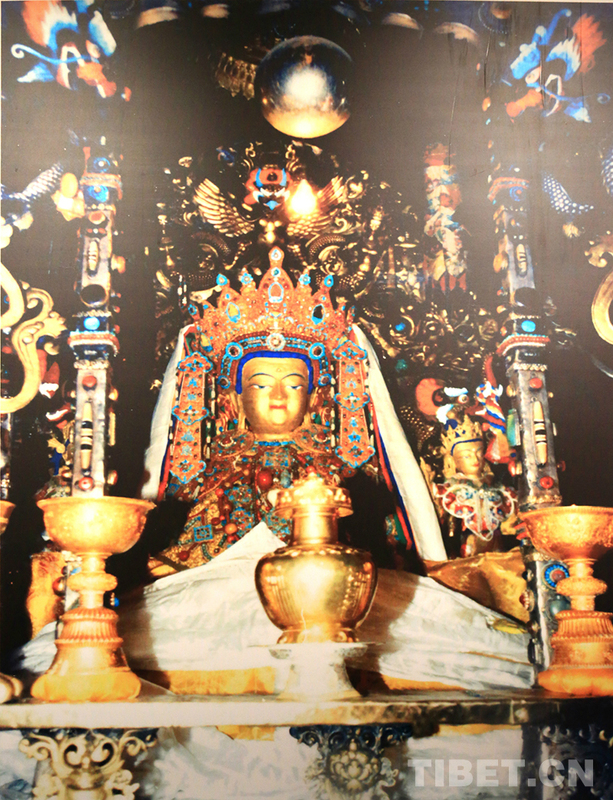 Chadrel Rinpoche considered that it was Tashi Lhunpo monastery’s responsibility to discover the newly born Lama. 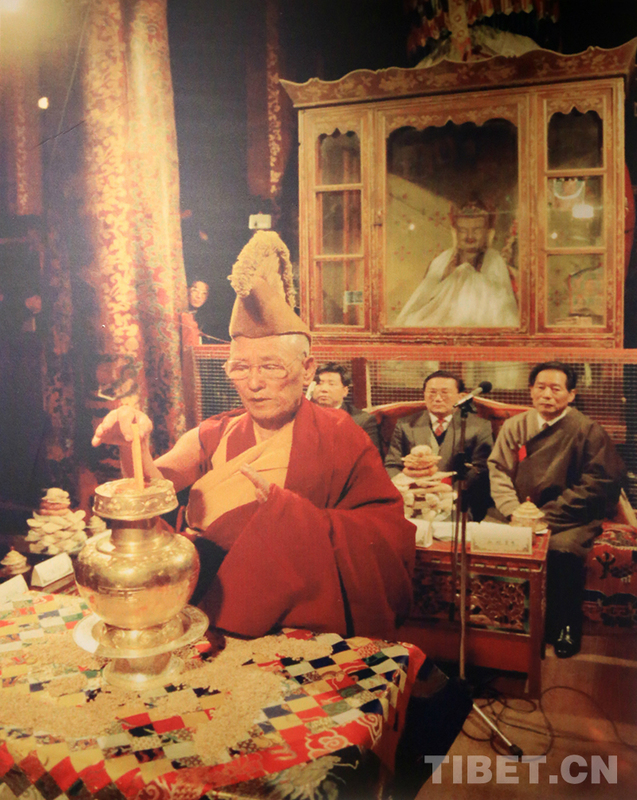 The problem started after Gyayak’s demise, when Beijing discovered that Chadrel Rinpoche had secretly been in contact with the Dalai Lama to find a ‘consensus’ candidate. Dharamsala was unaware that Chadrel Rinpoche had written a ‘letter of promise’ agreeing to obey the Chinese government; this explains Dharamsala’s unilateral announcement. Events started to hot up in early November 1995, when an emergency meeting was called in Beijing to ‘clarify’ the Communist Party’s position. 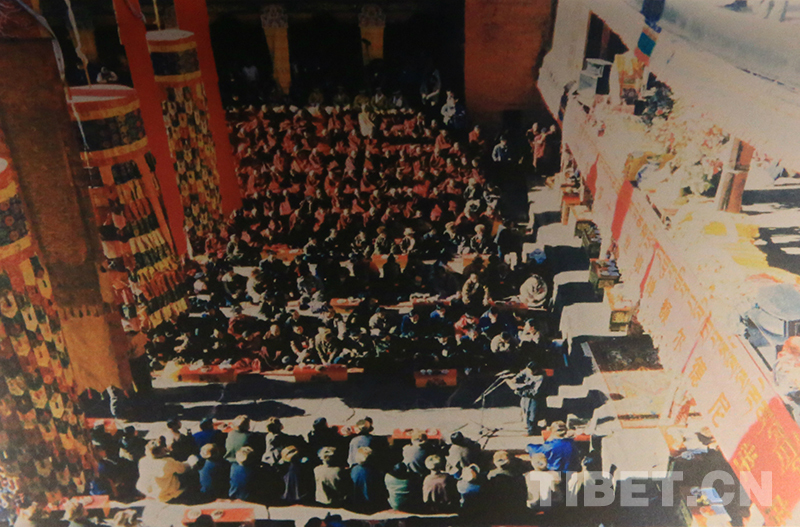 The next day, the main meeting took place to which Jamyang Shepa, abbot of Labrang-Tashi Kyil monastery, Bumi Rinpoche, a high Lama from the TAR and Arjia participated. 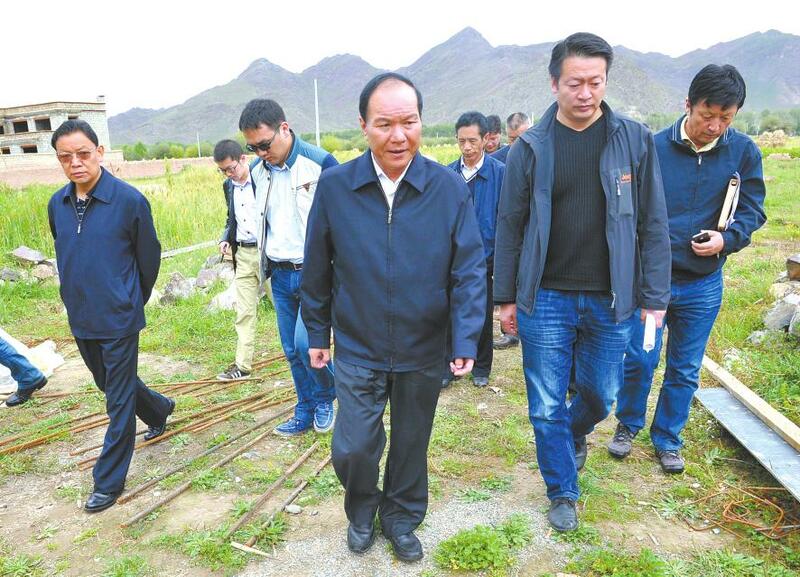 Ying Kesheng, the Party Secretary of Qinghai Province was present. Three points were on the agenda. Mandating a Golden Urn Ceremony. The rinpoches present had no other choice but to accept Beijing’s decision: “The meeting was swift and efficient. That same afternoon, central TV aired footage of the meeting throughout China and the rest of the world,” says Arjia Rinpoche. This could probably be called the selection of a Living Buddha with Chinese characteristics. A stern warning followed: “if any among you support or participate in any such attempt, we will punish you without mercy." Luo Gan, a State Counselor (and later, a member of the Politburo’s Standing Committee) and Gyaltsen Norbu (the TAR governor) were present. Bumi Rinpoche, who had been appointed Ganden Tripa (throne holder of the Yellow School) by Beijing, drew the lot. But the tamasha was not finished. Read on and you will understand how the next Dalai Lama will be selected. 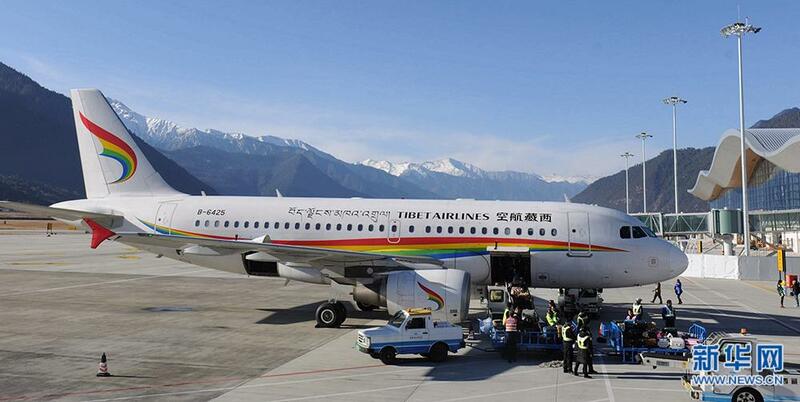 After Gyaltsen Norbu’s enthronement in Tashi Lhunpo, Arjia Rinpoche returned to Beijing by plane. He and Jamyang Shepa were called in a private cabin by Li Tieying, a Central minister and Ye Xiaowen, the director of the Bureau of Religious Affairs under the Chinese Cabinet. After Li Tieying, retired (with an oxygen mask) in the unpressurized cabin, Ye Xiaowen spoke more freely: “He unwittingly revealed a shocking secret,” recalls Arjia. 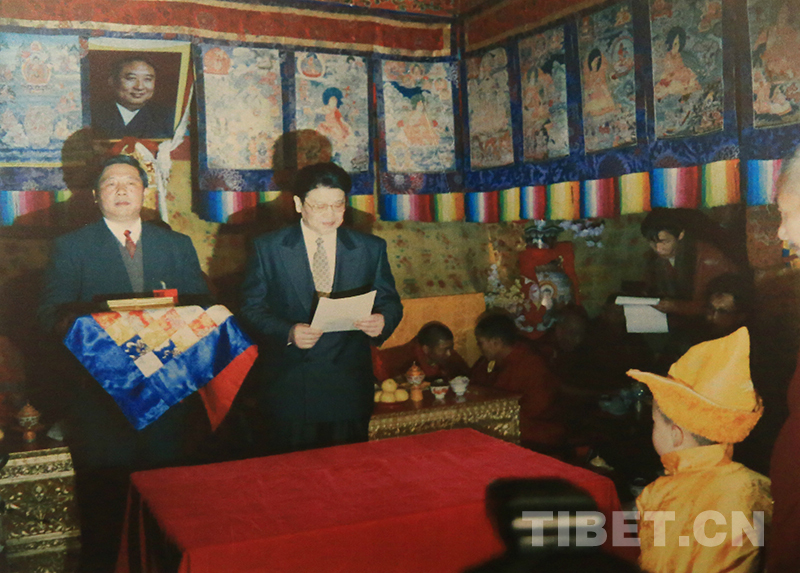 Ye said: “When the Dalai Lama announced the name of his chosen candidate, the government immediately sent out charter jets, usually reserved for members of the Politburo, to the birthplaces of the three final candidates in the Naqu [Nagchu] district of Tibet. They put the boys and their families on the three jets and whisked them away into hiding." There is no doubt that the selection of the next Dalai Lama will be done in the same manner, if Beijing is allow to have its way. The Armed Forces have made outstanding contributions for the maintenance of the local stability, the economic development, the improvement the people's livelihood and the implementation poverty alleviation and national unity, he said. This refers to the Tibetans living in India. He probably meant the in-depth reforms of the PLA. 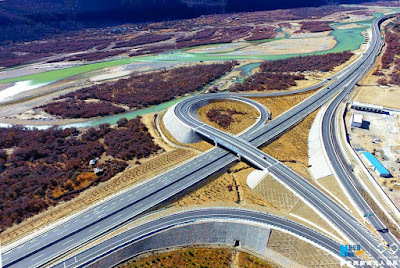 It has serious implications for the infrastructure on the plateau, particularly for the new roads leading to the Indian border. Note that the building of the above-mentioned ‘integrated infrastructure’ relates to both the military and the civilian. India could perhaps learn for Tibet and China. The People's Daily and several Chinese official websites announced the appointment of a new Governor of Tibet (head of the local Government). Che Drahla (or Qi Zhala in Chinese), who has served in Tibet areas for the past 35 years, was till recently the Party Secretary of Tibet’s capital Lhasa; since December, he is of the four deputy secretaries of the Tibet Autonomous Region. Che is 58 years old. 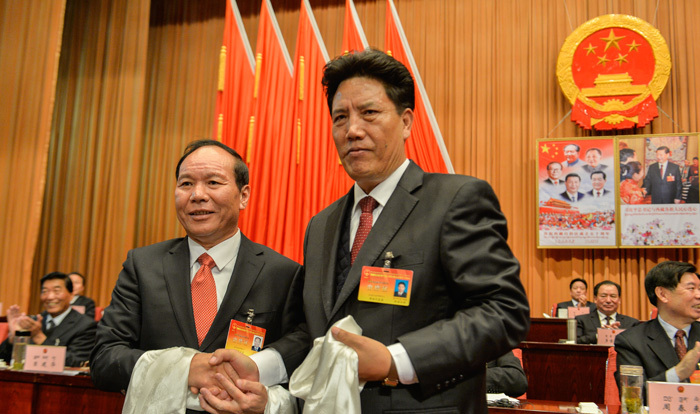 According to the same short announcement,the outgoing Governor Lobsang Gyaltsen was named Chairman of the regional National People's Congress. What has happened to Pema Thinley (alias Padma Choeling) who officiated at this post is not clear. But Che has some experience. Che come from the Tibetan-inhabited part of Yunnan province. 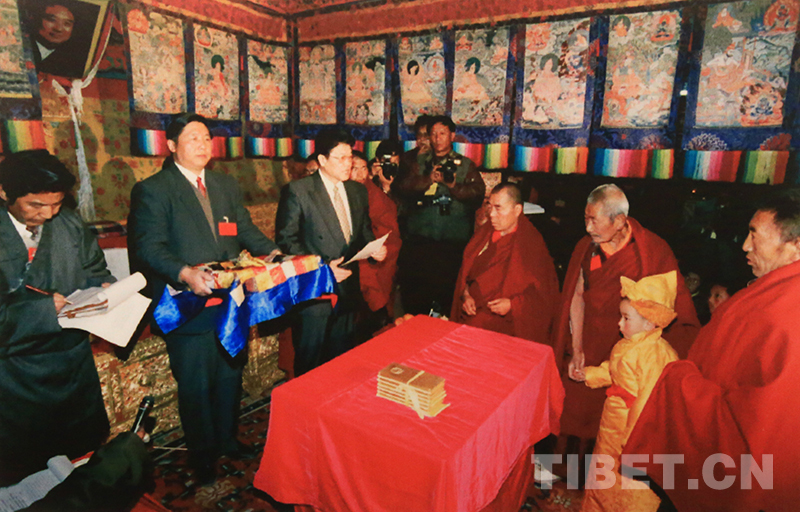 He was posted in this province before his transfer to Tibet in 2010 when he took over the Lhasa Municipality. In one of the Wikileaks cables, in September 2007, John Hill, the Acting Consul General, Chengdu, Sichuan wrote: “Ethnic Tibetan areas of Sichuan and Yunnan are under increased security pressure from government authorities in the wake of demonstrations in the town of Litang in western Sichuan's Ganzi [Kartze] Prefecture that were set off by the arrest of a man calling for the return of the Dalai Lama at a major public gathering in early August. 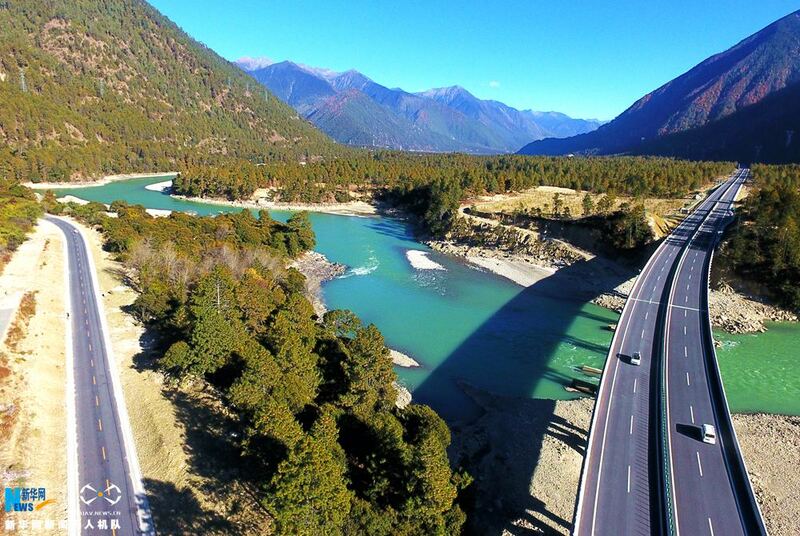 ...Despite the growth of the tourist economy in some towns, contacts stressed to us during our recent swing through the region their continued concerns over economic marginalization of Tibetans and environmental degradation." But Che Dralha found the trick (he later applied it to Lhasa): bring millions of tourists to increase the local revenue and 'pacify' the the Tibetans. 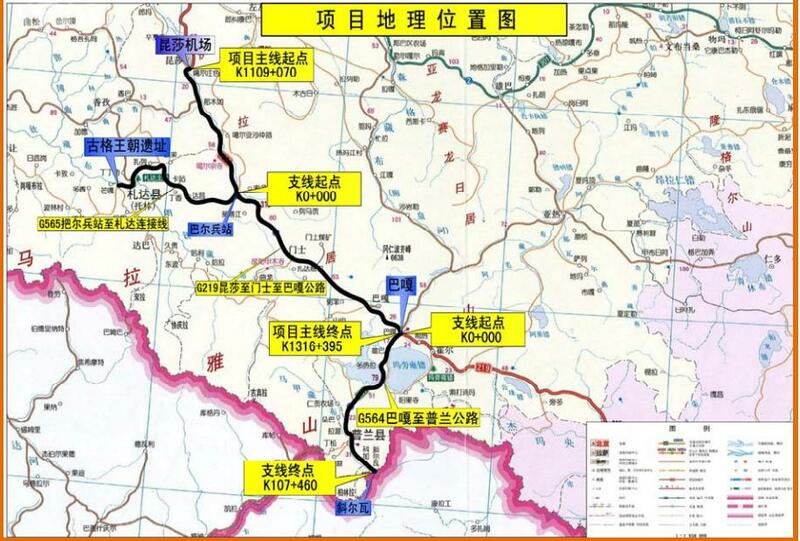 Hill mentioned the visit of a US delegation in Tibetan areas of Sichuan and Yunnan from August 22-28, 2007. He was accompanied by a Bangkok-based USAID official and the representatives of U.S.-based NGOs Winrock International (Winrock) and The Mountain Institute (TMI). Che would only have to replicate this policy in Lhasa to boost his political career. But tourism is only one part of the recipe. The other is discreet repression. In March 2012, Tibetan Centre for Human Rights and Democracy (TCHRD) based in Dharamsala quoted ChinaTibetNews.com who announced that those wanting to enter Tibet were required to carry their government-issued identity cards. Che Dralha, then Party Secretary of Lhasa, declared that the move was aimed at "establishing and improving coordination among the four provinces [Qinghai, Gansu, Yunnan and Sichuan]". Che also mentioned the importance of stepping up security and increasing the number of police officials along national roads and 'key monasteries'. TCHRD said that even the Beijing branch of Public Security Bureau had issued a notice asking all hotels and steam-bath houses in the capital to be more attentive about the presence of Tibetan clients. Hotel employees in Beijing are required to check the identities of Tibetans staying in the capital and to immediately inform the police station. In November 2015, when a group of journalists visited Lhasa, local officials (including Che) credited the peace in the city to the infamous grid management. The Financial Times (FT) reported: “The mass troop deployment that followed a 2008 riot was no longer visible, although local residents said the heavy security presence was reinstated during Tibetan holidays or sensitive anniversaries. As well as small police booths that stud residential blocks in Lhasa, there are police booths at the entrance to villages around the city, as well as much larger checkpoints set up like tollbooths on the roads leading into larger towns. He has now been rewarded. 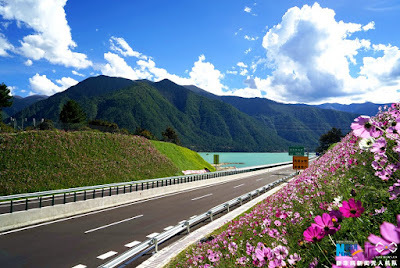 Che Dralha is born in August 1958 in Shangri-La, Yunnan Province. In December 1979, Che graduated from the Central Party School. He has served in different positions in the Tibetan-areas of Yunnan: Deputy Secretary of the Communist Youth League of Zhongdian County (Shangri-La); in Dechen Prefecture’s Standing Committee; Party Secretary of Zhongdian County; in the Yunnan’s Provincial Party Committee; Dechen Party Secretary. Later he was shifted to the Tibet Autonomous Region (TAR) where he served as major of Lhasa and in the Standing Committee of the regional Party Committee. He also worked with the United Front Work Department. He is presently Deputy Secretary of the TAR’s Party Committee. 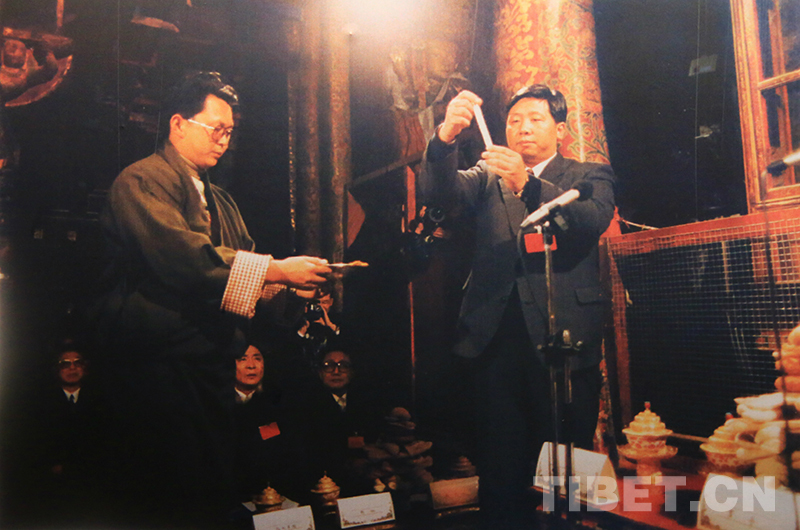 As Governor, he is the most powerful Tibetan in the TAR and the second-most powerful official, after Wu Yingjie, the TAR Party boss. Wu, a Han Chinese, has spent 40 years of his career in Tibet. More than 2,500 years ago, Lord Buddha spoke of ‘impermanence’ or anitya in Sanskrit. For the sage, conditioned existence is without exception “transient, evanescent, inconstant”; all temporal things, whether material or mental, are objects in a continuous change of condition, subject to decline and destruction, taught the Buddha. Calculated in political eons, this was long ago. 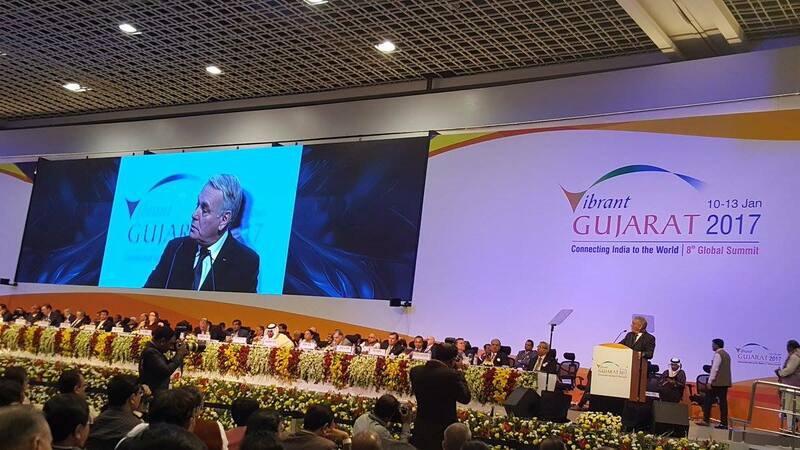 Today, foreign heads of state or Government are rushing to Indian to do business with Vibrant Gujarat. According to the Ministry of External Affairs, the Global Summit saw the participation of President of Kenya Uhuru Kenyatta, President of Rwanda Paul Kagame, Prime Minister of Portugal António Costa, Prime Minister of Serbia Aleksandar Vucic, Deputy Prime Minister of Russia Dmitry Rogozin, Deputy Prime Minister of Poland Piotr Glinski, France Foreign Minister Jean-Marc Ayrault, Japan’s Economy Minister Hiroshige Seko and delegations from other nations. Not so long ago, I remember speaking to the Ambassador of one of the countries mentioned above (not France), who swore that his country would never set foot in Modi’s state. But past is past. It must, however, have been pleasing, not to say a sweet revenge, for the Indian Prime Minister to ‘receive’ so many dignitaries. Take the example of France; Ayrault, the French Minister of Foreign Affairs and International Development came with a 147-member French delegation to attend the summit. Even a Nobel Laureate, Serge Haroche, expert in atomic physics, quantum optics, and laser spectroscopy, participated in the Nobel Laureates Conclave. How this will make Gujarat vibrate is not clear, but it is more symbolic of the new world’s state of mind vis-à-vis India and Modi in particular. The central focus of the summit being ‘Sustainable Economic and Social Development’, the French delegation was said to have expertise in energy, power, urban development, water and waste management, aviation and logistics, agrifood industry, multimodal transport, IT, you name them. I, however, wonder: Do the delegates really understand Modi’s ‘Make in India’ vision? It is a billion rupee question. And the foreign delegates should remember that Gujaratis are among the best businesspersons in the world, can they be a match? Do the delegates to the summit realise that ‘Make in India’ means a new type of partnership and that will have to ‘share’ the best technologies they have? Launched in 2003, the Vibrant Gujarat Global Summit aims at attracting investment in the State, but foreign delegates should not forget that Modi’s India is not the same country as in the 1980s or 1990s. The Indian Space Research Organisation will soon launch PSLV C 37, (Polar Satellite Launch Vehicle) which should lift three big and 100 small satellites in a single mission off from Sriharikota. A world record. Could you have imagined this 20 years ago? The summit was not ‘business’ only, it was also the occasion for high politics. With the world scene in global flux, particularly after the arrival of a new US President, Modi made sure to use the forum to discuss politics, especially when he met Rogozin, the Russian Deputy Prime Minister (himself accompanied by a large business delegation). Talks between the two were crucial as it was the first high-level encounter between India and Russia after Russian President Vladimir Putin’s visit to India last October. 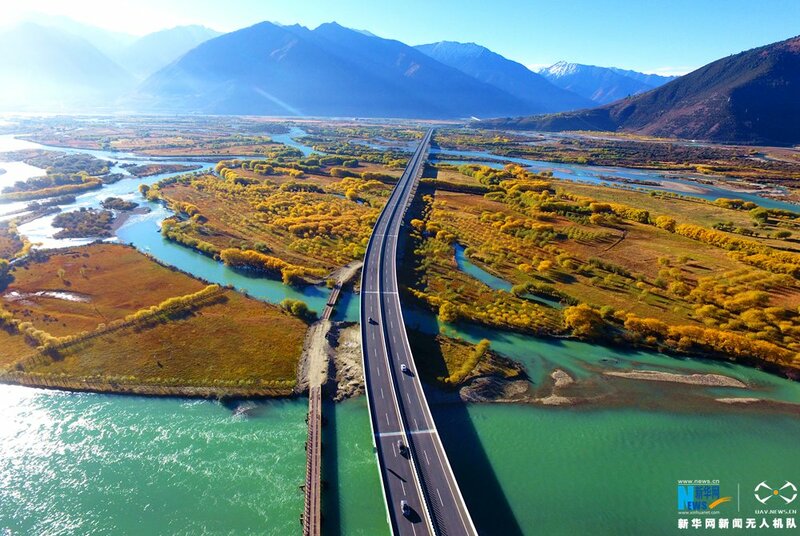 It was also an occasion for Delhi to get clarifications from Moscow whose position on the China Pakistan Economic Corridor (cutting across the Indian territory in Pakistan-occupied Kashmir) has been ambiguous, with Beijing and Islamabad trying to lure the Russians into the mega scheme. The other issue is the uncertainty about Donald Trump’s stand on US-Russia relations. The President-elect is bound to have more ‘normal’ relations with Putin than his predecessor who was obsessed about real or imaginary interference from Moscow on American soil, forgetting that in the past, the Chinese have harmed the US interests many times more than the Russians (in hacking for example). What will Trump tweet next on Russia? It would certainly be a good thing for India (and for America) to balance Moscow’s dependence on Beijing, in the Middle East crisis and elsewhere. Though French Foreign Minister met Modi during the Global Summit, the attention-grabbing news concerning the French diplomacy in the changed times, came from another side of the globe. Three French MPs, one of them associated with François Fillon, who in a few months has good chances to be the next French President, met Syrian President Bashar al-Assad. Though Fillon’s campaign manager denied sending Thierry Mariani, one of the MPs, it is clear that this heralds radical changes in the months to come. Mariani said that al-Assad told him that he was willing to negotiate with rebel groups fighting against his Government, with the exception of thejihadi organisations. According to Mariani, al-Assad was “optimistic and ready for reconciliation with them on the condition that they lay down their arms”. Furter, he was ready to negotiate ‘on everything’ during the forthcoming talks in Astana, Kazakhstan, brokered by Russia and Turkey. Apart from the MPs, a group of French journalists from France Info, La Chaîne parlementaire and RTL television interviewed the Syrian President: “We don’t consider it [re-taking Aleppo from the rebels] as a victory. The victory will be when you get rid of all the terrorists,” said al-Assad. In 2017, the international scene will indeed witness, if not global ‘impermanence’, at least a sea of changes, and not just in the field of business. World leaders, whether they are Chinese, Russian, French or American will have to learn to live with anitya. Several years ago, during an interview with a senior Tibetan Lama on the future of China, the venerable monk started quoting the Mahabharata; he said, “look at Ravana, he had become so arrogant that this triggered his own end.” He conclusion was that China today (it was several years ago), was becoming far too arrogant and it was not a sign of maturity and strength, but possible fall. This came back to mind when I read the recent editorial of The Global Times, the mouthpiece of the Communist Party of China. India had just successfully conducted its fourth experimental flight of an Agni-V missile from Wheeler Island, off the coast of Odisha. The indigenously developed intercontinental ballistic missile is said to have a strike range of 6,000 km. One should read ‘equal footing’ …with China. But is it a crime for India to seek a seat in the Security Council or to develop a deterrent policy against belligerent neighbours? The Global Times added that India couldn't be considered as “China's main rival in the long run,” because there was “a vast disparity in power between the two countries”. China may be far more ‘powerful’ than India today, but this is without taking into account the obvious weaknesses of the Middle Kingdom, whether its huge internal debts, its highly unstable ‘minorities’ areas (i.e. Xinjiang and Tibet), everyday deeper disparities, a repressive regime or the independentist tendencies in Taiwan and Hong Kong. The article advised Delhi ‘to build rapport’ with Beijing. When the spokesperson of the Chinese Ministry of National Defence was asked about the Agni V, he redirected the questioner to the Ministry of Foreign Affairs which “already stated clearly China’s position”. He however emphasized the good relations between the two countries: “The defense ministries and militaries of the two countries have conducted a series of important exchanges and activities. For example, the 8th meeting of China-India Defense and Security Consultation and the 6th joint anti-terrorism exercise held by the Chinese and Indian armies were held in India. Zhao Zongqi, Commander of the Western Theater Command of the PLA visited India this year.” He also mentioned the visit of Defense Minister Manohar Parrikar and Chief of the Army Staff General Dalbir Singh Suhag to China in 2016. What to conclude of this? There is no doubt the China is far ahead of India in many fields, but the deterrence effect of the latest test is an important strategic factor. Beijing today prides itself of J-20 stealth fighters which made their maiden public flight on November 1 on the occasion of the 11th China International Aviation and Aerospace Exhibition in Zuhai. Xinhua then affirmed that the J-20 is expected to boost the fighting capacity of the Chinese PLA Air Force (PLAAF). This is fine, but China forgets to say that it is today unable to develop its own engines and still depends on the Russians. China’s achievements might be real but Beijing should refrain to comment on India’s. 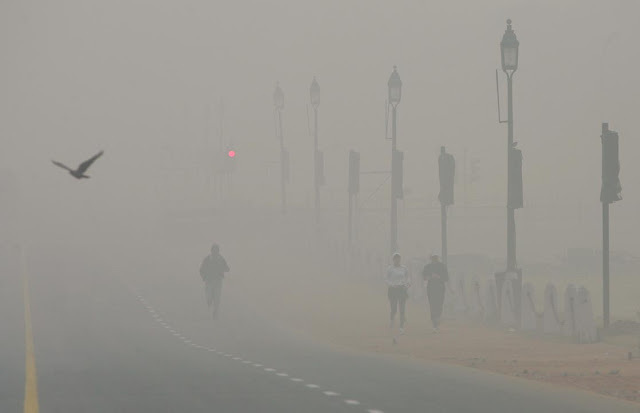 It seems that Beijing regrets the time when India was docile and weak. Today, India believes in deterrence and even if India is not a ‘big country’ like China, India is ready to face any challenge. The present Indian leadership knows that even if the ‘spirit of the Nation’ is necessary, but not enough.